The Inner West's best boutique festival has recruited festival alumni alongside newbies to descend on their new Marrickville home, across the road at Fraser Park. DMA'S lead the charge on the main stage fresh from touring the world including stops at Reeding and Leeds Festival and a sold out UK tour. After the release of their much loved sophomore album 'For Now' this will be their first hometown show in almost a year which is sure to be a royal reception for these local lads done good. This year will also see Bad Friday go international for the first time with British soul heavyweights Jungle hitting the Marrickville arena with acclaimed new album 'For Ever' in tow. 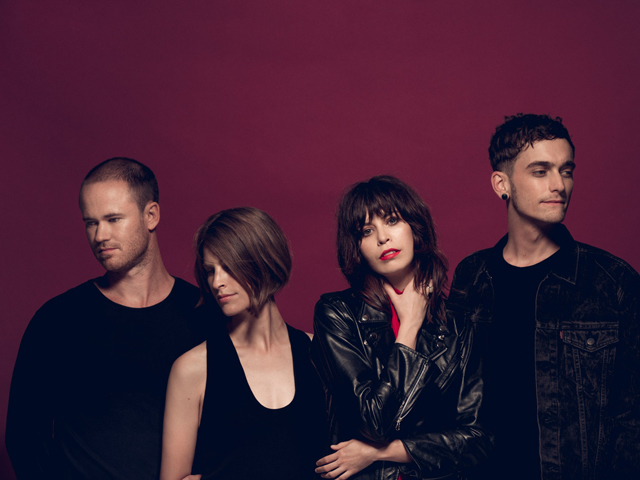 Also celebrating ten years in the game The Jezabels will play alongside Brisbane's party rock legends DZ Deathrays who will make their Bad Friday debut. Brothers in pop and rock, Lime Cordiale will offer up hits from their acclaimed debut album and bringing the party home will be The Avalanches closing out proceedings with a rare DJ set. Continuing to celebrate and support local talent, the second stage will pay host to mainly locals only, from psych-pop lords World Champion to rapidly rising glam punks Johnny Hunter. Melbourne lo-fi impressers RVG will offer a heavy dose of confessional retro-pop, whilst rising from the ashes of Royal Headache comes brand new band Shogun and The Sheets who will deliver a sonically beautiful rock and soul treat to the BF stage. Up and coming favourites Georgia June will also feature alongside indie rockers Planet, Newtown's shittest band Scabz and dream-pop trio Baby Beef, plus more to be announced. For their 10th rendition Bad Friday will be relocating down the road to their new home at Fraser Park. Still nestled amongst the industrial streets of our beloved Marrickville, pass under the railway tracks to find a slew of home-grown talent and DJs, arcade amusements and some of the community's best eats; it's the quintessential Inner West experience. Despite expanding bigger each year and now a player on the festival circuit, Bad Friday never forgets its roots. From the humble days at the Annandale Hotel and Vic on the Park, to the streets and laneways of Marrickville; Bad Friday continues to support local talent with the contingent of Sydney based artists at 70% this year. Dishing up an eclectic line up catering to various alt and rock, you can start your Easter weekend with a bunch of old favourites and some you're about to discover. Join us as we turn Good Friday Bad this Easter long weekend.